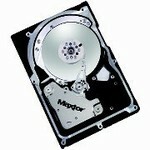 Maxtor - 8B036J0 MAXTOR - ATLAS 36.4GB 10000RPM 8MB BUFFER 80PIN ULTRA320 SCSI 3.5inch LOW PROFILE (1.0inch) HARD DRIVE (8B036J0). IN STOCK. SHIP SAME DAY.